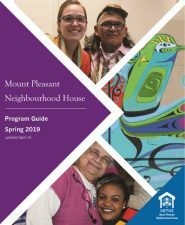 Our award-winning seniors program is a thriving, vibrant part of our Mount Pleasant Neighbourhood House family. 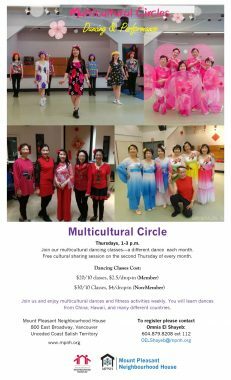 The goal of the program is to promote health and wellness, build supportive social relationships and create cross-cultural understanding and harmony by providing a variety of organized activities for seniors from our diverse neighbourhood. 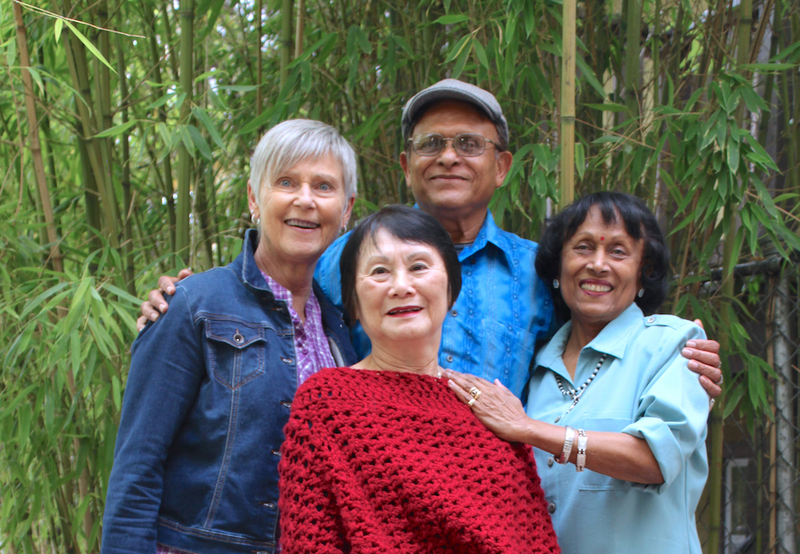 Leadership, education, activity and participation, supported by volunteers, outreach and social workshops takes physical activities, walking clubs and seniors peer support programs to the next level. Offered in multiple locations to increase independence, promote social networks, and active aging. This program is funded by United Way and delivered by MPNH. You can find all our programs and events for seniors and older adults in our events calendar, below. 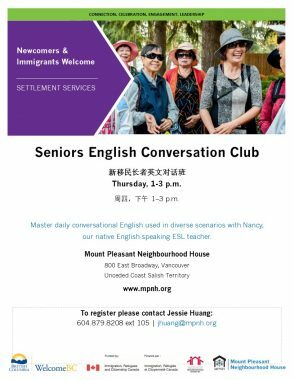 The Mount Pleasant CRN Vision: We are a network that is productive, visible and diverse, driven by the voices of older adults in Mount Pleasant. We are committed to creating a neighbourhood where older adults are empowered, living healthy, safe and fulfilling lives. Please contact Claudine for more information. 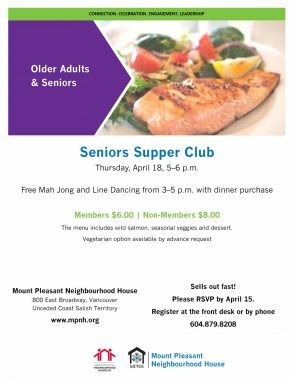 Free Mah Jong and Line Dancing from 3–5 p.m. with dinner purchase Members $6.00 | Non-Members $8.00 The menu includes wild salmon, seasonal veggies and dessert. Vegetarian option available by advance request. Sells out fast! Please RSVP by April 15. 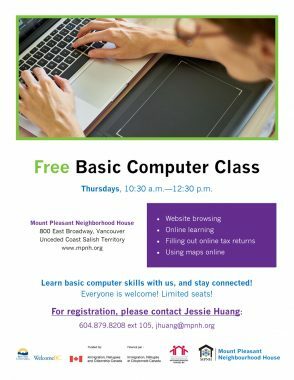 Register at the front desk or by phone 604.879.8208.